Apple on Monday released iOS 10.2 for the iPhone and iPad. 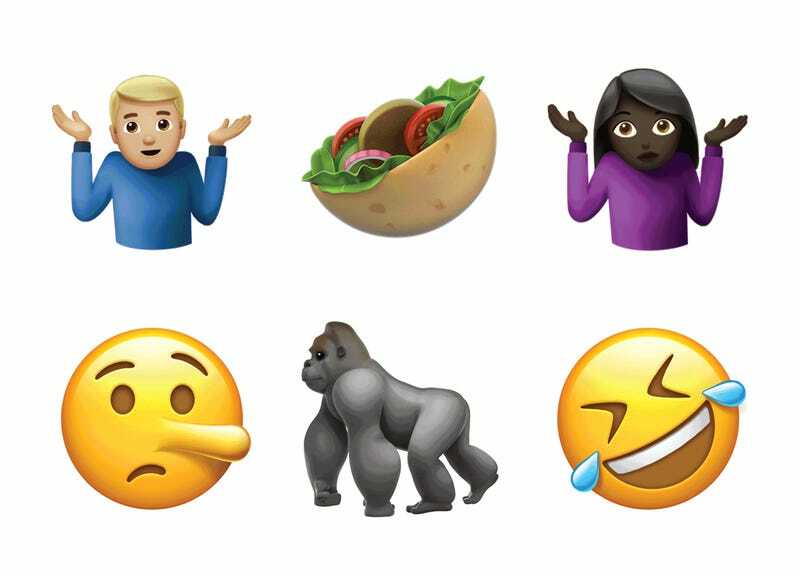 There are a number of new features, including the new TV app, but the real reason you want to download iOS 10.2 is for the hundreds of new and redesigned emoji. In addition to a slew of new more inclusive emoji, Apple also added a bunch of new symbols, including a butterfly, a tumbler glass (that looks like it’s whiskey! ), bacon, pancakes (bacon pancakes, anyone? ), and avocado. Apple also redesigned many of its existing emoji for a look that’s more inline with iOS 10 as a whole. Earlier this fall, beta versions of iOS 10.2 showed off a redesigned peached that took away the accepted meaning of the symbol and made it into, well, a peach. Fortunately, Apple saw the error in its ways and restored the peach (now with a slightly different color palette) to its natural glory. 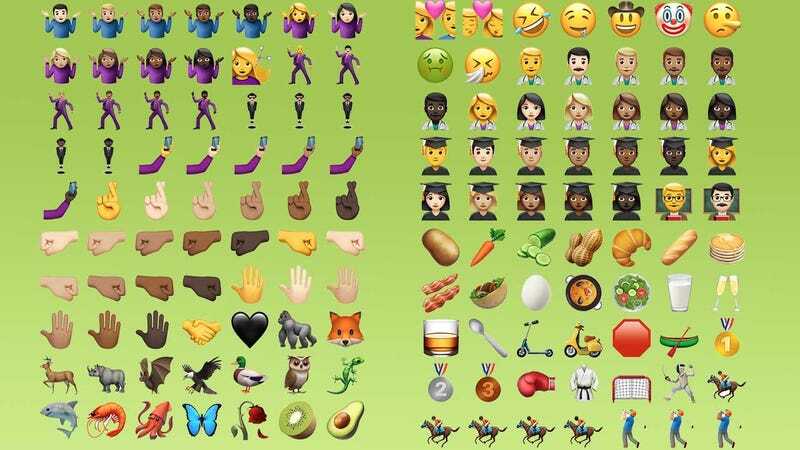 Emojipedia has a rundown of all the new emojis you can use. I personally like the nauseated face and the lying face and expect them both to be frequent additions to my texting regime. I would also like to thank Apple for making the female technologist emoji, because it’s basically just me. To get the new emoji and everything else in iOS 10.2, go to Settings > General > Software Update on your iPhone or iPad.